Very few take the opportunity to switch career paths at the height of their success, but in 2012 this was exactly what Nina Maya did. 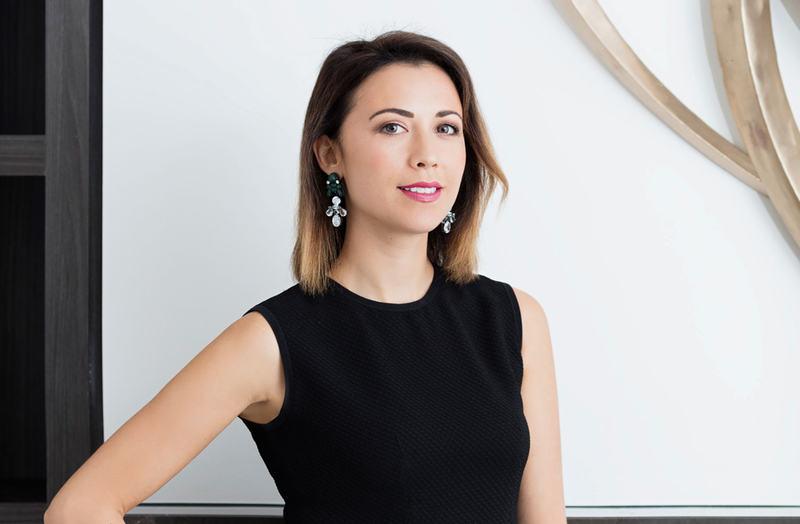 Having graduated with a design degree from UNSW COFA (now UNSW Art and Design), majoring in textiles and graphics, Nina Maya took a position with Italian fashion house Grazia Bagnaresi just outside of Bologna. After only three months the matriarch offered Maya the opportunity to design her own range, which effectively meant creating a line of samples to bring to Australia. The dream run for Maya had only just begun, with David Jones picking up this untried designer, who suddenly found herself the head of a design house at the age of 21. Over the following six years her business grew to supply stores nationally as well as both Myer and David Jones. By this stage it had become clear that Maya would need to bring in significant funds and staff to move the label forward, which prompted the question: ‘is this really what I want to do?’ For Maya, the answer was no. Taking a year off to reconsider her path, she moved to London where a new direction presented itself. “It was as simple as I stopped buying Vogue and started buying Vogue Living,” says Maya now. Moreover, she was effectively on sabbatical with time to appreciate the interiors and architecture of Europe with regular trips to France and Italy. The shift from fashion to interiors was a natural move. 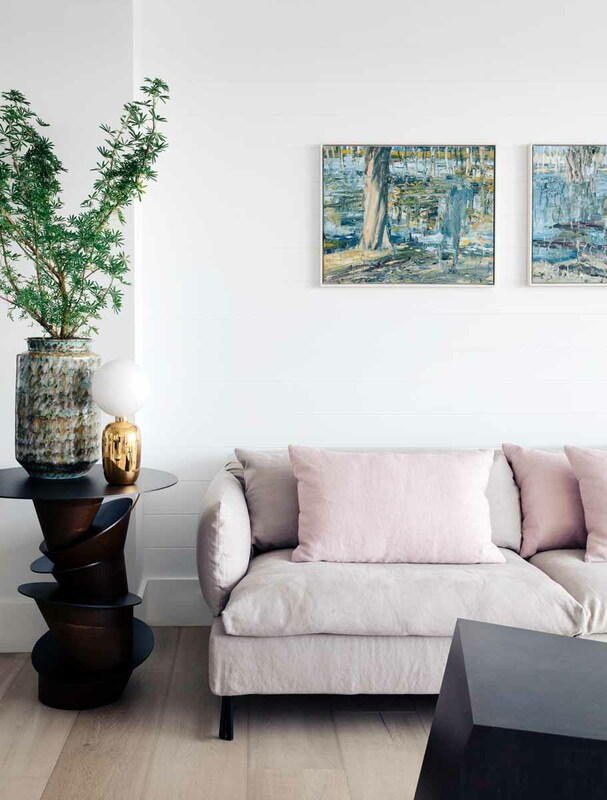 “I realised there was a lot of crossover in terms of skill – [when it came to having] an eye for colour and form – and then one of my fashion clients asked me to renovate a bolt hole in Sydney. She basically threw me the keys and said have a go,” says Maya. The move into interiors as a business was a much more considered direction than running the fashion label, with learned lessons guiding the structure and work ethic. “For six years I loved [fashion]. It was a very, very challenging business, but I didn’t get time to do the thing I love, which is design. Instead, I was looking after retail and management and running a business with seven staff and I hated managing staff,” she says. With this in mind, the interiors business has only been allowed to grow organically, with Maya hands-on with every project. “If someone hires you to design their house you need to turn up to the client meetings and not send a design assistant – you need to be giving 100 percent to the client rather than growing and taking on every offer that comes your way,” she says. For the first three years, it was just Maya and an assistant; however, the business needed to grow and three additional staff came on board to facilitate the eight projects completed this past year. This, then, is as large as she is currently comfortable with, preferring to outsource when the workload swells. And swell it does, with 10 projects currently underway. Working predominantly in residential, Maya has experienced the typical challenge of a look becoming popular. 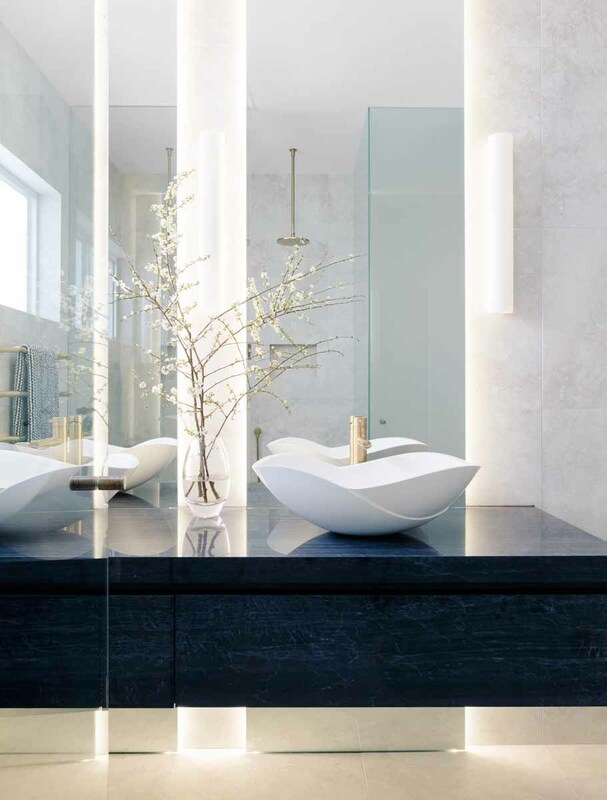 The marble-rich, soft grey and blue contemporary beach house in particular was a seductive default that clients were instinctively requesting. 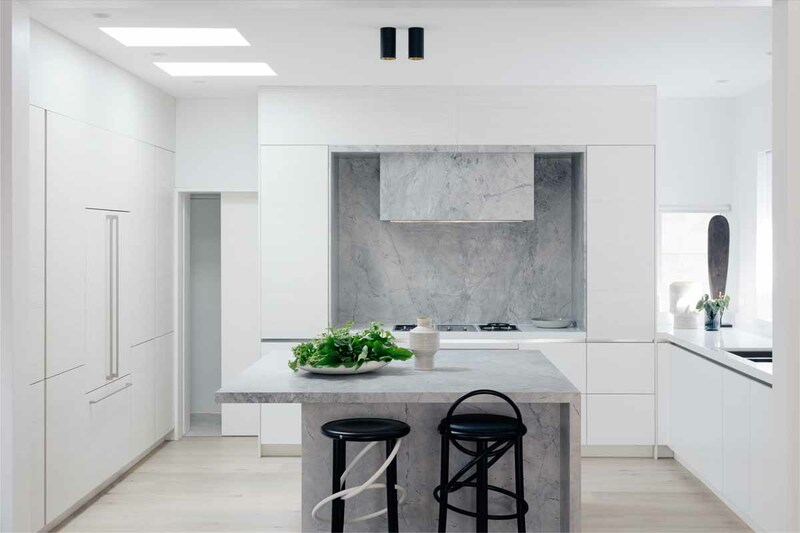 But she has bucked this trend with projects such as the Glass house delivering a broad range of design solutions that showcase this very talented young designer’s scope. Moreover, she sees herself as part of a residential movement that is embracing a new style of luxury without the stuffiness of past iterations. For the most part her career has grown through word of mouth with most clients coming from the first projects she completed. Social media has also played a role, with several repeat clients coming from Instagram and Pinterest. The photographer, Felix Forest has additionally been instrumental in securing her architectural and design media coverage. It is in fact hard not to think of Maya’s career as having its stars aligned, with her two hospitality projects being the iconic Paddington Inn followed by the mega iconic Opera Bar, which she frankly acknowledges as a dream come true. Working with the Social Outfit as part of her commitment to social entrepreneurship and philanthropy, she designed its original and more recent stores in Newtown (pro bono). In terms of ambition, while her primary love is residential, her most coveted opportunity is hospitality. “My dream would be a hotel. I love travelling and staying in hotels – analysing what the architect and designer have done to the interior. I think there is something magical about the experience of being away and the creation of lobbies and bars,” she says. With an aesthetic that is foundationally a continuation of her fashion sense, Maya approaches an interior as a texturally varied neutral palette overlaid with the accessories of art, lighting and textiles. In particular it is her eye for form that delivers, with lighting selected for sculptural presence and furniture always bringing a dynamism to her spaces. Of course, there are also always the soft grey velvets and washed blues that informed her early work, which will perhaps always be present and beautifully so.